In this session I talk with Helen Leigh. Helen is an author, education writer, and maker with a focus on creative use of new technologies. She has written playful technology education materials for National Geographic and Intel Education, and has developed a Design, Coding, and Electronics Course for the Royal Court of Oman. Alongside her writing, Helen makes creative technology products with a focus on education, including her latest collaboration with Imogen Heap, MI.MU, and Pimoroni, a gesture-controlled musical instrument glove that you can sew, wire, code, and play. To see some of the things Helen has made and find out more about some of the projects she has worked on, visit her Twitter, @helenleigh. Helen lectures on electronics, physical computing, and music technology at Ravensbourne University and Tileyard Studios in London. She was previously director of the education platform Mission:Explore, with whom she published six acclaimed children’s books. Helen lives in Berlin but is often found in London. 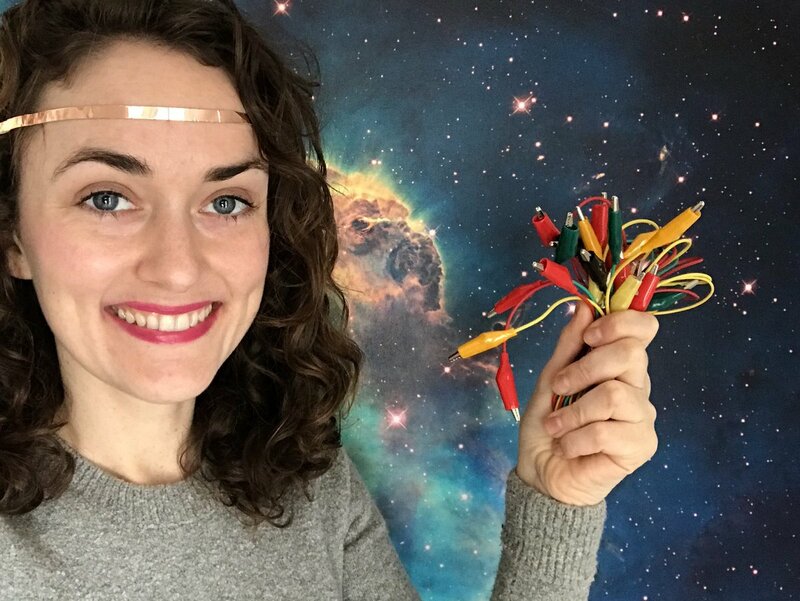 You can say hello, ask questions, or show off your DIY electronics on Twitter (@helenleigh), on YouTube (HelenLeigh), or on Instagram (@helenleigh_makes).